Home > Blog > Sleeping better is a way to cure several health issues. A massage can help! Sleeping better is a way to cure several health issues. A massage can help! It’s been a long day, and all you can think about is hitting the hay. But if you are like many of the people who find it difficult to unwind after a stressful day, not being able to sleep can be exasperating. It can take a toll on your health and livelihood. It affects the way you handle stressful situations, contributes to weight gain, and can even lead up to depression. There are medical interventions that can help you sleep better, but they are not without significant side effects. There is evidence to suggest that massage therapy can aid those who have difficulty dozing. You’ll be amazed to discover how quickly you’ll drift off the instant you climb into bed after a massage. But maybe you shouldn’t that surprised, considering how baby massage is one of the first techniques used to help infants sleep. I guess that’s where the phrase ‘sleep like a baby’ originated. Various massage techniques can help you sleep better. But how does a massage actually do that? Any stressful issue such as financial problems or a rocky relationship can keep you up at night. 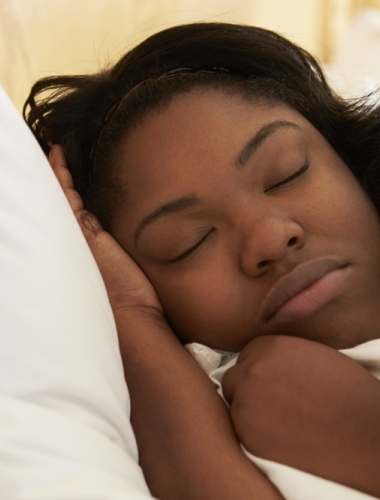 A massage may be the key to a sound sleep. It lowers heart rate, decreases blood pressure, relaxes muscles, and increases gut function. Pain in any part of the body can be a contributing factor to sleepless nights. A massage can help ease the pain. In fact, massage sessions twice a week have been reported to decrease pain significantly, thereby reducing sleep disturbances. A massage releases important endorphins such as serotonin and dopamine that calm you down. They’re often known as your body’s natural ‘feel good’ chemicals. Serotonin is essential for good sleep as it helps regulate the body’s sleep/wake cycle. It also decreases depression and anxiety levels, which in turn improves the quality of sleep. Cortisol is a major stress hormone. Over time, unmanaged stress leads to fatigue and disturbed sleep patterns. Massage stimulates the vagus nerve which tells the entire body to relax and lowers cortisol levels as well, giving it the rest it needs. If you have been suffering from long patterns disrupted sleep cycles, it may take more than a couple of massages to get you sleeping well again. Get on the phone, and book an appointment at your local spa. While there are many forms of massage therapy, some are better at promoting a relaxed mind-body state than others. They’re great for easing mental and physical stress, which may be that hindering your sleep. Swedish massage is the most popular. It involves gentle, long strokes, kneading, and circular motion to help your muscles relax. The gliding strokes erase tension while simultaneously boosting circulation throughout the body. Hot stone massage uses hot, smooth stones to relax and invigorate your body. Typically placed on your back, the heat helps to release tension in the back and shoulders. This allows the therapist to reach deeper areas of muscle ache easily.